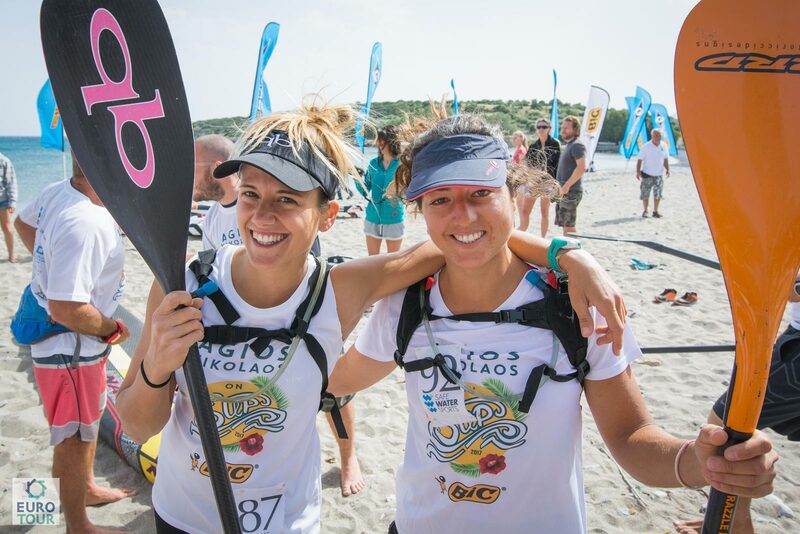 Starboard duo Leo Nika and Penelope Strickland have taken out the first stop of the 2017 EuroTour, saluting at the ‘Agios Nikolaos on SUP’ festival in epic downwind conditions on the beautiful Greek island of Crete. Leo, the winningest athlete from the 2016 Tour, came home in a time of 1:29:56 to defeat compatriot Paolo Marconi (RRD) by almost 2 minutes, while Federico Esposito made it a clean sweep of the men’s podium for the Italians after finishing third. Conditions were firing along Crete’s north-east coast as competitors enjoyed a world class downwind run for the first 10kms, showcasing the potential for the windswept Greek Islands to become a downwind hotspot. 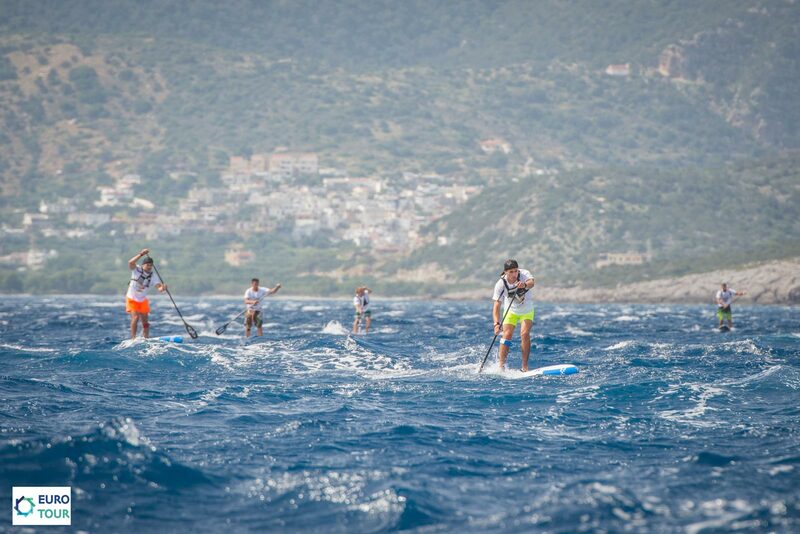 As the photos show, Crete looked more like Hood River or Western Australia as the small but clearly stoked field enjoyed near-endless bumps. 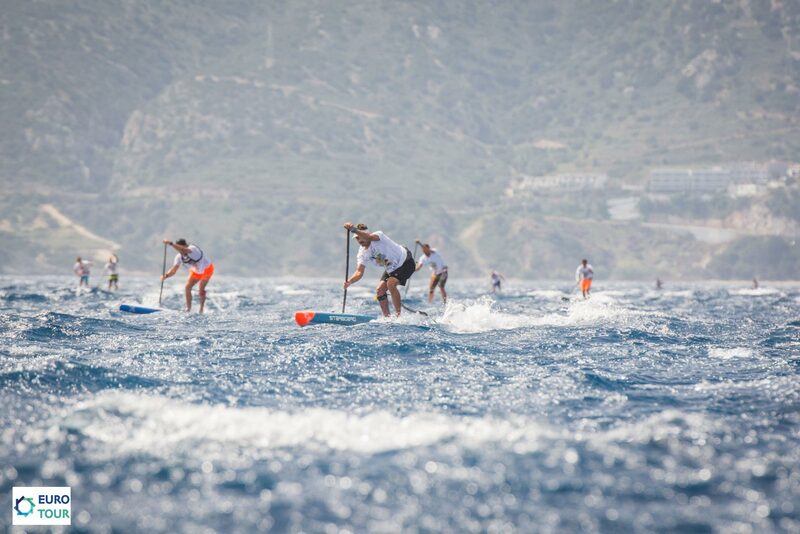 But when paddlers entered the home straight, heaven became hell as the final few kms turned into an upwind/sidewind nightmare, which tested everyone’s strength and produced some big time gaps on the results sheet after many paddlers were left limping home. Giorgos Frangos (NSP) gave the home nation something to cheer about with a fourth place finish, before another two Italians in Giordano Capparella and Martino Rogai crossed the line to make it 5 of the top 6 for Team Italy. Although the women’s field was relatively light it did feature a few internationals, which included Carolina Cup top 10 finishers Penelope Strickland and Susak Molinero. With the open ocean knowledge she’s honed back home in New Zealand combined with her board of choice being the built-for-bumps Starboard Ace, Penelope blitzed the field to win by a wide margin and finish just 5 minutes outside the men’s top 10. 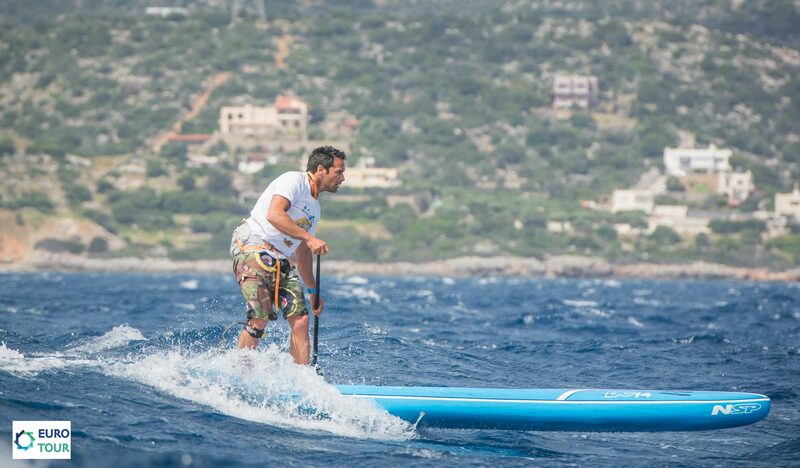 Susak took a solid second place for Team RRD, while Germany’s Susanne Lier rounded out the podium for NSP. 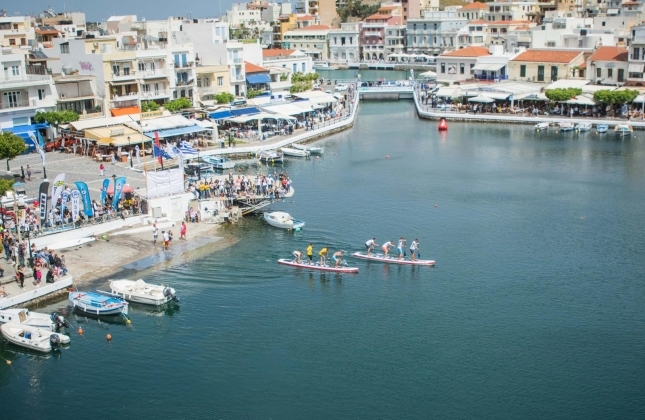 The event, which was held in the picture postcard perfect town of Agios Nikolaos, also included the EuroTour’s signature fun races; it looks like one of the highlights this summer will be the awesome new Red Dragon four-a-board team races. The 12-stop Tour – part race series/part European summer holiday – takes a break next week before 11-straight weeks of back-to-back events, including the ‘Prime’ level races in France, Spain and Germany starting with the St. Maxime SUP Race Cup in late May. But if you can’t get to Europe don’t worry: boosted by the big turnout for our Carolina Cup Facebook Live stream, SUP Racer will be streaming 4 or 5 Euro Tour events during the peak of summer. Until then, follow the Tour on Facebook for more pics and updates from the race in Greece, and take a look at the full results from the elite long course down below. 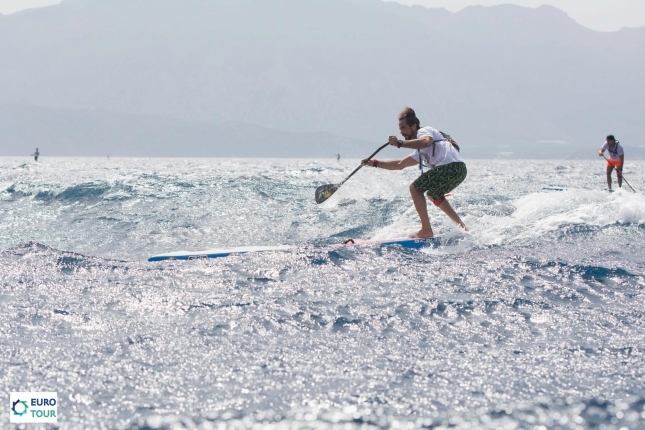 Contact | Copyright © 2011-2019 SUP Racer. All rights reserved. Image copyrights retained by their respective owners.